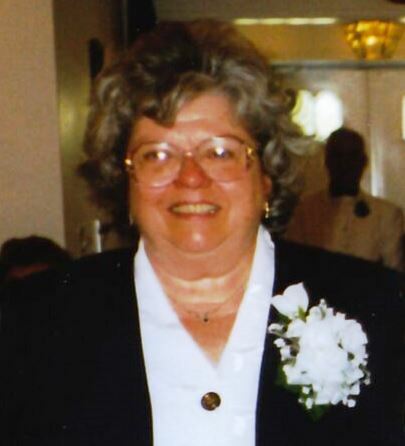 Obituary for Helen Veronica (Weber) Merryweather | Bruzdzinski Funeral Home, P.A. Beloved wife of the late John T. Merryweather. Devoted mother of Barbara A. Backof, John C. Merryweather and his wife Toni, Thomas R. Merryweather and his wife Rose and the late Betty J. Heil and her husband Robert. Loving grandmother of Stephen Backof, Charles Merryweather , Kris Merryweather, Scott Merryweather, Shannon Merryweather, Amanda Merryweather, Cameron Merryweather, Jessical Heil, and Robert Heil. Also survived by her greatgrandchildren and her sister Rose Hales. Friends may call at the family owned Bruzdzinski Funeral Home P. A. at 1407 Old Eastern Avenue, Essex at route 702 (beltway exit 36) on Monday January 28th, 2019 from 3 to 5 and 7 to 9 PM. Funeral services on Tuesday January 29th, 2019 at 11:00 AM. Interment Gardens of Faith Cemetery.